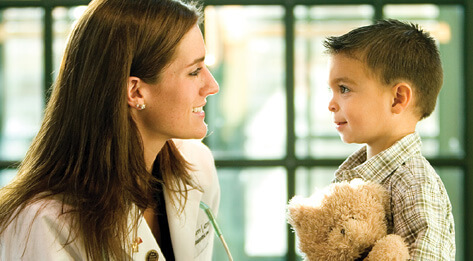 The mission of the Occupational Therapy program is to prepare highly-competent, entry-level occupational therapy practitioners committed to holistic, client-centered, science-informed practice who value health equity, diversity, team-based healthcare, and community-based practice designed to enhance the life participation and social inclusion of individuals, families, groups and vulnerable populations across the lifespan. A.T. Still University’s (ATSU) entry-level Doctor of Occupational Therapy program is a 36-month, full-time residential program. Graduates of this program will be prepared to practice in traditional settings as well as trained for innovative and visionary practice to meet society’s occupational needs. They will be equipped to not only work with individuals, groups, and populations but will be prepared for leadership, activism and advocacy with program development as a focus area of study. 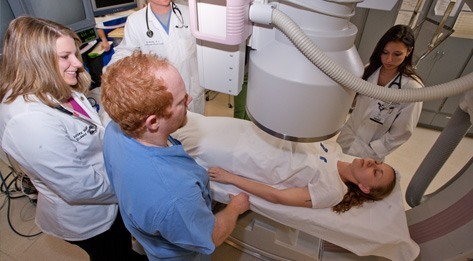 Offered through ATSU’s Arizona School of Health Sciences (ATSU-ASHS) on the Mesa, Arizona campus, students will be trained by expert faculty who will model the professional behaviors, attitudes and skills needed to provide client-centered services, build community partnerships, and collaborate on interprofessional teams. Students will be trained in occupation-based, theory-driven and evidence-informed practice. In support of the ATSU mission, the program will prepare students to embody social responsibility and develop knowledge and skills to address occupational and health inequities in society. Students and faculty will work together in communities of learning to critically evaluate, analyze, interpret and apply information. This systematic and scientific process will be utilized throughout the curriculum and will guide the doctoral experiential component of the program. The doctoral experience will involve building relationships and collaborating with community agencies and their clients to develop occupation-based programs that address the needs of service recipients. In addition to required fieldwork experiences distributed throughout the program, Entry-Level Doctor of Occupational Therapy students will have early opportunities to engage in community work in preparation for their doctoral experience. This early exposure will not only prepare students to effectively engage in collaboration with community agencies and develop proficiency in cross-cultural interactions, but will enhance their understanding of social issues that contribute to occupational and health inequities. Following graduation, students are eligible to sit for the OT certification examination developed by the National Board for Certification in Occupational Therapy (NBCOT). Upon passing the NBCOT exam, Entry-Level Doctor of Occupational Therapy graduates are then eligible to apply for state licensure in their state of residence. All states within the United States require licensure in order to practice occupational therapy. The Entry-Level Doctor of Occupational Therapy program provides graduates with the knowledge and skills to function and practice beyond what is required for entry-level practice. Practitioners will be equipped to meet the evolving needs of dynamic systems and an increasingly diverse society. Read the University Catalog to learn more about the entry-level Doctor of Occupational Therapy (OTD) program and A.T. Still University. 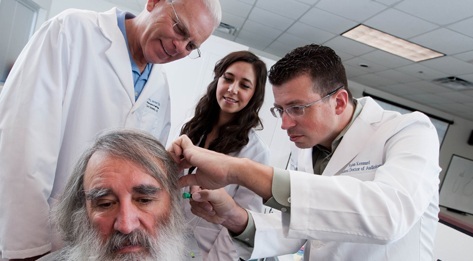 The Entry-Level Doctor of Occupational Therapy program at ATSU is accredited by the Accreditation Council for Occupational Therapy Education (ACOTE) of the American Occupational Therapy Association (AOTA), 4720 Montgomery Lane, Suite 200, Bethesda, MD 20814-3449, ACOTE’s telephone number, c/o AOTA is 301.652.2682. ACOTE website: www.acoteonline.org. Graduates of the program will be eligible to sit for the national certification examination for the occupational therapist administered by the National Board for Certification in Occupational Therapy (NBCOT), located at One Bank Street, Suite 300, Gaithersburg, MD 20878, phone: 301.990.7979, fax: 301.869.8492, web: www.nbcot.org. 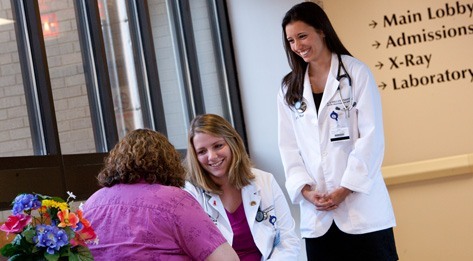 Upon passing the NBCOT exam, Entry-Level Doctor of Occupational Therapy graduates are then eligible to apply for state licensure in their state of residence. All states within the United States require licensure in order to practice occupational therapy. Note that a felony conviction may affect a graduate’s ability to sit for the NBCOT certification examination or attain state licensure. The first entry-level Doctor of Occupational Therapy cohort will take the NBCOT exam after graduating in June 2019. Therefore, pass rate data is not available at this time and will be posted as it becomes available. For NBCOT certification exam pass rates, please click on the following link: https://secure.nbcot.org/data/schoolstats.aspx. 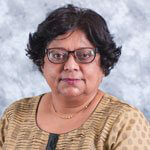 Jyothi Gupta PhD, OTR/L, FAOTA, is a tenured full professor and chair of the Department of Occupational Therapy at A.T. Still University in Mesa, Arizona. Dr. Gupta received her doctorate in biological sciences at the University of Windsor, Canada and has held post-doctoral Fellowships at various Canadian universities in biology (University of Waterloo), pharmacology (Dalhousie University), biochemistry and pathology (McMaster University). She obtained her occupational therapy degree from McMaster University. Prior to taking up her current position, Dr. Gupta was tenured professor at St. Catherine University in the Department of Physical Therapy, and held a joint appointment in Occupational Therapy. She developed many local, national and global community partnerships during her tenure at St. Catherine University for inter-professional service learning courses, and for her scholarship. Rebecca Wolf, JD, MPH, OTR/L, joined ATSU’s Occupational Therapy department faculty in 2017. She has extensive experience working to improve the lives of vulnerable populations. Early in her career, she developed educational and health promotion programs for immigrants, elderly individuals, and at-risk youth in Israel. She also worked as a youth advocate in a homeless shelter for women and low-income housing for families in Washington, D.C. Prior to attending graduate school, she founded and directed the Helping Hands Medical Fellowship, which brought Israeli medical volunteers to Uganda to improve the health of vulnerable individuals and communities. Professor Wolf has conducted policy research at the World Health Organization, Unite for Sight, and the Harvard Law School Project on Disability. Her academic research has primarily focused on health behavior and promotion, human rights, bioethics, genomics, and occupational justice. Dr. Natasha Smet obtained her entry-level doctoral degree in occupational therapy from The University of Toledo, Ohio, where she served as the Vice President of Pi Theta Epsilon, OT honor society. During her tenure as a graduate student, the local media recognized her for her commitment to social justice. Dr. Smet is a strong advocate around issues of diversity and inclusion in the OT profession. She served as the Mentor Coordinator for the Coalition of Occupational Therapy Advocates for Diversity (COTAD). Dr. Smet’s primary research interests are children with sensory processing challenges and matters of leadership, and diversity. She is a published author, public speaker, and program developer, who developed occupational therapy programs for people of refugee status, as well as a formal mentoring program for under-represented OT students. She has also presented on these topics both nationally, and internationally. Jim Farris, PT, PhD, earned his bachelor’s degree in physical education, 1987 and master’s degree in exercise science, 1989 from California State University, Fresno; bachelor’s degree in physical therapy, 1999 at Arkansas State University. His doctoral degree was conferred by The Ohio State University, 1995 where his studies focused on exercise physiology and nutrition. Dr. Farris joined the ATSU faculty in 2009 and is now in his 21st year of physical therapy teaching. His current scholarship efforts are aimed at childhood obesity and prevention of the related cardiovascular disease risk factors, submaximal aerobic fitness testing in children, education and admission issues, and the screening/management of DVTs/VTEs. He also has interests in nutrition for optimal health and performance and he has written a chapter on “meal timing” in a sport nutrition book. His home is in the west where outdoor activity and sunshine is abundant. Kellie C. Huxel Bliven, PhD, ATC, is a professor of clinical anatomy in the Department of Interdisciplinary Health Sciences and ATSU-ASDOH. 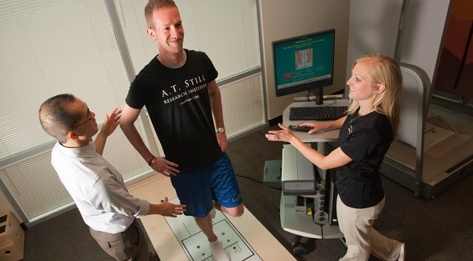 Since joining ATSU in 2008, Dr. Bliven has been a faculty member in various programs, including anatomy, kinesiology (formerly human movement), and athletic training. Prior to her appointment at ATSU, Dr. Bliven was a faculty in the athletic training department at Indiana State University. Dr. Bliven’s current line of research on understanding and improving shoulder function and health addresses four areas: mechanisms of shoulder stability, muscle activation during rehabilitation, adaptations in the throwing shoulder, and health-related quality of life in throwing athletes. In addition to her faculty responsibilities, Dr. Bliven serves as the director of the Interdisciplinary Research Laboratory and as the vice chair of the Institutional Review Board at ATSU Mesa campus. She is also involved in professional service, including the Board of Certification for the Athletic Trainer exam development committee, associate editor of the Journal of Sport Rehabilitation, and active member in the American Society of Shoulder and Elbow Therapists. Dr. Bliven received her bachelor’s degree in biology and physical education from Denison University in Granville, Ohio; master’s degree in kinesiology from Indiana University in Bloomington, Indiana; and doctoral degree in kinesiology with an athletic training emphasis from Temple University in Philadelphia. 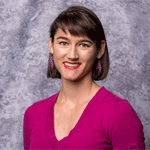 Chelsea Lohman, PhD, ATC, CSCS, joined A.TSU-ASHS as an assistant professor of human anatomy in August 2013. She is the director of curriculum and instruction of anatomy within the Department of Interdisciplinary Health Sciences. Dr. Lohman received her bachelor’s degree in kinesiology from Arizona State University and obtained her master’s degree in athletic training and her doctorate in rehabilitation sciences from Texas Tech University Health Sciences Center. Dr. Lohman’s research interests focus on improving clinical examination techniques. Specifically, she is interested in the mechanical effects of neural tension testing techniques. Sarah Everman, PhD, graduated with a doctorate in kinesiology from Arizona State University (ASU). Her dissertation research was conducted in the Center for Metabolic Biology (CMB) at ASU. During her research in the CMB, Dr. Everman studied some of the molecular mechanisms responsible for insulin resistance in lean and obese humans. Specifically her work looked at the effects of an infusion of branched chain amino acids in humans on insulin sensitivity in skeletal muscle. This research was performed using in vivo procedures such as the euglycemic hyperinsulinemic clamp, stable isotope tracer infusion, muscle biopsies, and mass spectrometry to assess the metabolism of glucose and protein under various physiologic and pathophysiologic conditions. Her work has resulted in publications at national conferences and in journals such as PLoS ONE, Medicine and Science in Sports and Exercise, and the American Journal of Physiology, Endocrinology, and Metabolism. Sarah joined the kinesiology faculty at A.T. Still Universit 2011. Her teaching emphases are human physiology, the physiological adaptations to exercise, and research methods. Currently, she is working on a research project with her colleague Dr. Jack Daniels to study the effect of aging on cardiovascular responses to exercise in formerly elite male runners. Applicants must have achieved a minimum 3.00 cumulative GPA, and a 3.00 science GPA (on a 4.00 scale). Applications will not be considered unless both the cumulative and the science GPA scores meet the stated minimum requirements. Additionally, the ATSU Admissions department does not recalculate GPA. Applicants are required to obtain a minimum of 30 contact/observation hours in the occupational therapy field. More than one setting is recommended. Applicants are required to submit to a criminal background check at their own expense. Applicants need to be aware that having a felony conviction might impact a graduate’s future ability to sit for the National Board for Certification in Occupational Therapy Exam and/or ability to obtain state licensure to practice. Applicants who wish to be considered for more than one ATSU-ASHS program, including both entry-level Occupational Therapy programs, MSOT and OTD (and including Physical Therapy, Physician Assistant, Audiology), must submit separate application fees, transcripts and references. 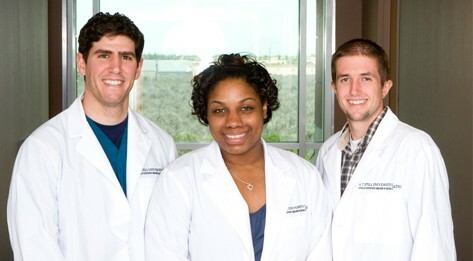 Acceptance to ATSU-ASHS is to a specific program and is not transferable to any other program. Application materials are not transferable from one application year to another. Applications for the entry-level Doctor of Occupational Therapy program are processed on a rolling admissions basis, which means that seats are offered to qualified applicants beginning in October and ending when all seats are filled. For that reason, applicants are encouraged to apply early as seats fill quickly. 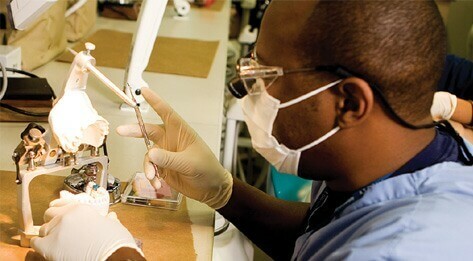 Point of entry into the program is only once each academic year with classes beginning in mid-July. Lifespan Human Development: This requirement can be met by having one course, for a minimum 3 semester/4 quarter hours that covers human development from birth through gerontology. Or it can be met by having a Child development or Child Psychology course, for a minimum 3 semester/4 quarter hours, in addition to a Gerontology or Psychology of Aging course, for a minimum 3 semester/4 quarter hours. Introduction or General Psychology: one course for a minimum 3 semester/4 quarter hours. Complete with a passing grade, all didactic coursework and maintaining a minimum cumulative GPA of 2.75. Complete with a passing grade, all Level II fieldwork within 24 months of completion of didactic coursework. Complete with a passing grade, the experiential component of the OTD capstone within 12 months of completion of all Level II fieldwork. Complete with a passing grade, directed research project and required artifacts. Discharge all financial obligations to ATSU-ASHS. Participate in the NBCOT certification exam workshop. Attend commencement activities and graduation. Applicants will apply online via the Occupational Therapy Centralized Application Service (OTCAS). Applications for the entry-level Doctor of Occupational Therapy program are processed on a rolling admissions basis, which means that seats are offered to qualified applicants beginning in October and ending when all seats are filled. Applicants are encouraged to apply early as seats fill quickly. Applications can be submitted to OTCAS beginning in July. Point of entry into the program is only once each academic year with classes beginning in mid-July. Current tuition for the Doctor of Occupational Therapy program is listed below. Students are also responsible for annual educational supply fees of $1,150. These fees are not included in the tuition figures below and do not include the cost of books and other supplies. For more information on programs at ATSU/(OT), please contact a representative at 866.626.2878 x2237 (toll free), 660.626.2237 (direct dial), or via email at admissions@atsu.edu. 1. What is the difference between an entry-level master’s degree and the entry-level Occupational Therapy Doctorate degree at ATSU? The occupational therapy profession has two options for entry-level practice, a master’s degree or a clinical doctorate degree (OTD). While both the degrees prepare graduates for taking the certification exam required for entry-level practice, the OTD additionally prepares graduates for a focused area of study beyond the entry-level master’s program. In our program, the choices are in innovative practice, activism and advocacy, skills for program development and advanced leadership. 2. How does the OTD curriculum differ from that of a master’s? Students will work in groups to complete a directed research study and experience the complete research process. The OTD curriculum has a unique 16-week doctoral experiential component, which is an in-depth experience in one or more of the following student-selected areas: advanced clinical practice, research, policy and advocacy, or education. 3. Does it take longer to complete the OTD degree compared to the master’s? Yes, the OTD is a 36-month full-time residential program that has additional curriculum requirements compared to the master’s degree. 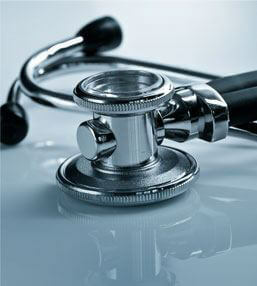 The OTD degree has a total of 117 credits that is inclusive of a required 12 credit Public Health Certificate. The MSOT is a 27-month program (79 credits). 4. Why would I want to do one extra year of study when both degrees are entry-level? The answer depends on your current life situation and your career goals. If you see yourself holding leadership roles, want to practice in non-traditional areas of practice, go into private practice, consult, etc. OTD will prepare you for these roles. 5. If a student were to complete at least 27 months of the program but not all 36 would they be granted a master’s degree? Currently this is not an option for students who enroll in the OTD program. Full-time residential program, meaning faculty are in the classrooms. Student-centered teaching and accessible faculty. Focus in innovative practice to meet society’s occupational needs as well as prepare students for traditional areas of practice. Students will work in the community to develop programs for diverse groups and populations. The Office of Student Aid-Enrollment Services helps with your finances so you can concentrate on your academics. We are here to serve you. Email us at enrollmentservices@atsu.edu or call 660.626.2019. The entry-level Doctor of Occupational Therapy coursework explores models and skill sets needed for clinical and community practice in unique and emerging healthcare arenas with concurrent demonstration of knowledge and practice skills in traditional settings. The program helps students understand the importance of promoting health and wellbeing, quality of life, and prevention in a variety of practice areas. Specialized coursework coupled with experiential learning in the community ensures that graduates of the program possess the knowledge and skills needed to prepare them to function and practice beyond what is required for entry-level practice as an OT generalist. *Course titles and descriptions subject to change. Students will be exposed to different methods of conducting a needs assessment and how to use the information obtained from a needs assessment to plan for and develop a program for a specific targeted population. In this doctoral experience preparatory course, students will identify a project idea and conduct a review of literature incorporating works from within and outside the body of OT literature. Based on literature review, students will prepare the proposal for their Doctoral Experience component. Leadership theories and their application in occupational therapy are explored. This course will explore avenues of leadership for novice occupational therapists. Students will learn advocacy skills needed to represent individual, community, and population-based concerns. Students will be exposed to activism strategies necessary to influence systems, current policy/legislation, and promoting social change for under-served populations. 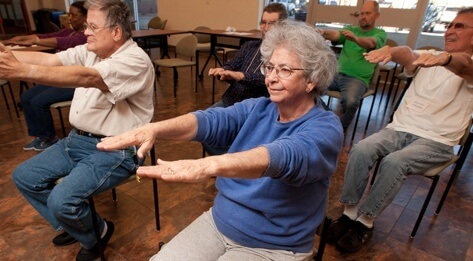 Occupational therapy to influence the health, well-being and quality of life of individuals with chronic disease and the older adult population. Students will examine topics within public health and epidemiology and expand their knowledge of the OT’s capacity to prevent disease, disability, and activity limitations and to promote health, participation, and social inclusion. In this segment of the directed research series, students will focus on writing the final literature review, and understand the research study design and methods best suited to answer the research question. Students will submit and defend their proposal to their doctoral Project Committee (consisting of the course instructor, their primary project advisor, and another member who may be their project mentor). During this seminar, students will also be introduced to and explore different methods of program evaluation and outcomes assessment. As part of the seminar, students may need to complete an IRB application to assess outcomes associated with a program they will develop. By the end of the course, students will be expected to translate the results of the needs assessment and propose a draft plan for a program development relevant to meeting an identified need at their practice site or with a community partner. Students in this course will refine their program development to finalize plans for their Doctoral Experience and identify outcome measures for program evaluation and logistics of program implementation. Students will prepare all materials needed for the program they have designed, working together with staff and other stakeholders from their community site to be ready for implementation of the program that provides the basis for their Doctoral Experience. In this phase of the directed research series, students will develop the research proposal and obtain IRB approval for conducting research. Data collection may commence at this stage pending approval from IRB. The doctoral experiential component is an in-depth experience that prepares students beyond the entry-level (advanced), in one or more of the following: clinical practice skills, research skills, administration, leadership, program and policy development, advocacy, education, or theory development. Students will work closely with assigned faculty advisor to implement and evaluate the project they have developed in collaboration with their community site, with oversight from their faculty advisor. OTDE7910, OTDE7920, OTDE7930. Additionally, all fieldwork experiences must be completed before a student can start their doctoral experiential component. This seminar will include the public dissemination of the Doctoral experience capstone project. Formal presentations that showcase the work and outcomes will be made to the campus community. Students will be required to prepare the final product (report/manuscript) to be ready for submission in a peer-reviewed professional venue (i.e. professional journal, state or national professional conference, etc.). In this penultimate course of the directed research series, students will focus on data analysis and interpretation of results of their faculty-led research study. Students will develop the final product of the directed study and prepare to disseminate it in a public forum. All OTD students will be required to obtain the Certificate in Public Health through the College of Graduate Health Studies at A.T. Still University unless a Master’s in Public Health has been previously awarded. These classes are offered online beginning in the fall of the Year 2 OTD. The additional courses are included in the OTD tuition fee. There will not be any tuition reimbursements if you have already been awarded a MPH degree. Program Caveat: ASHS-OTD Program reserves the right to require students with a Master’s in Public Health to complete courses in the Certificate in Public Health to fulfill the OTD degree requirements. Social and epidemiological basis of health education overviews are provided. Tools are developed for assessment of community, institutional, and individual educational needs. Planning, implementation, and evaluation of health education programs designed to develop and reinforce positive health promotion and prevention practices are explored.